We empower people so they can protect themselves (and their loved ones) using in-person lessons, online learning tools, and a sprinkling of fun. We’re Like You: We’re not elite cops, soldiers, or UFC fighters. We consider ourselves average Joes — just with an elite-level of combatives experience that we’ll share without any ego or chest-thumping. We’re Teachers: Anyone can consume our easy-to-follow lessons without getting martial indigestion. You don’t need years of prior knowledge or to be a ripped athlete. You just need a desire to learn and a determination to train. We Keep It Serious … But Fun: We take our training seriously but not ourselves. After all, if something’s not going to be fun, you’re probably not gonna want to learn it. We provide effective combatives training you can learn within days rather than years, while also giving you consistent practice when it’s convenient for you. Traditionally, martial arts are taught in a dojo. Students attend weekly classes. They get tested and earn different belts or rankings with the aim of becoming a black belt or instructor. Meanwhile, tactical training is usually taught in a seminar-style format at a firearms school. Students learn in a classroom setting before heading out to the range to run shooting drills with the teacher. There is no ranking nor weekly practices. You would like more training than just a single seminar but you probably also don’t want to put in five years of consistent studying in a system to find out if you can survive a deadly encounter. Therefore, Tiga Tactics offers a wide arsenal of tools that you can learn at home or where it’s most convenient for you. Whether it’s through our online modules, in-person seminars, or regular consultation, we provide combatives programs customized to your specific needs. It’s maximum training that’ll get you ready in minimal time. Our two chief instructors are Patrick Vuong and Dr. Conrad Bui. Combined, they have expertise in a half-dozen weapon platforms, instructorships in 11 fighting systems, and more than 50 years (yes, that’s FIFTY — a half century’s worth!) of self-defense experience, which includes martial arts, combat sports, and reality-based combatives. Also, they’ve appeared in numerous media, including several award-winning magazines (see below). Our cadre are highly sought after — whether as writers, photographers, models, hosts, or subject-matter experts. “Tactics” is defined as a plan or action of using available means to accomplish a specific goal. “Tiga” (pronounced “tee-gah”) means “three” in Indonesian. That number holds significance for many people for many different reasons — whether you believe in the Holy Trinity or use it to explain the structure of a dramatic work. It also symbolizes the triangle, a significant shape in self-defense, and reminds us that to defend yourself effectively, you must have: 1) the knowledge, 2) the techniques, and 3) the continuous training. If you lack just one of these attributes, your chances at prevailing in an adrenaline-filled, life-and-death situation decrease dramatically. 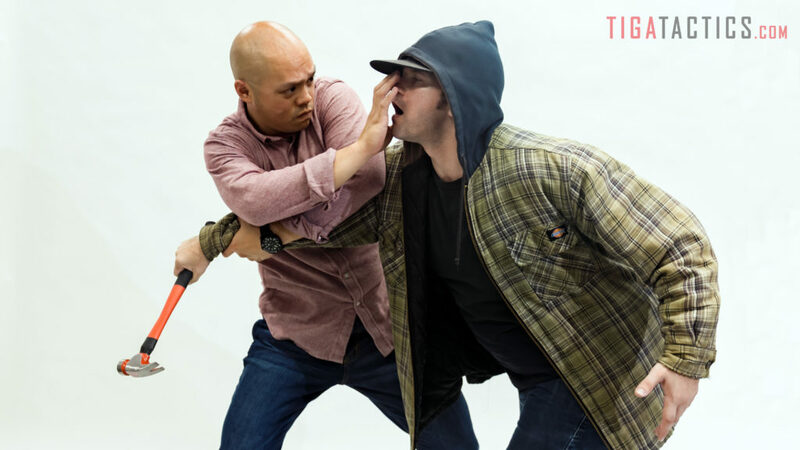 Therefore, we named our company Tiga Tactics to always remind us of our main goal: give you the three tiers of combatives (knowledge, techniques, and training) so that you can safely protect yourself and your loved ones. And, besides, Tiga Tactics just sounds plain cool. 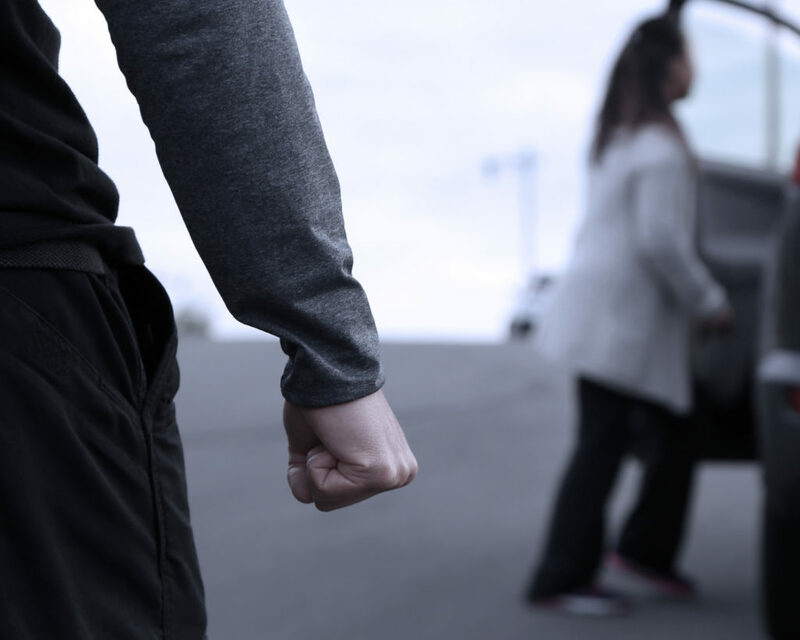 Wanna know how to defend yourself or protect your family? Interested in learning directly from us? Send us an email by clicking on our contact page. Follow us on Instagram and get our latest video tips and killer photos. C’mon, do it for the ‘gram. Be the first to watch our newest videos. Subscribe to our YouTube channel. Follow us on Twitter for our raving rants and self-defense soundbites. Tiga Tactics, the name, and the logo are trademarks of Total Tiga, LLC. TigaTactics.com, its content, and all related indicia are intellectual property of Total Tiga, LLC. Copyright 2019 Total Tiga, LLC. All rights reserved. The #1 Most Common Attack? Do you know what the world’s most common street attack is? And would you know how to defend against it? To find out, sign up to get a PDF report emailed directly to your inbox — completely FREE! What’s the No. 1 most common street attack? And would you know how to defend against it? To find out what it is, what the warning signs are, and how you can stop it, just sign up below to get a PDF report — completely FREE — emailed directly to your inbox.